When Taofick Okoya went looking for a doll to buy his niece in Nigeria, he was frustrated by the fact that his only options were white Barbies. In order to remedy this, Okoya decided to create his own line dolls, called Queens of Africa and Naija Princess, that display and celebrate the cultures and fashions of Africans. The Queens of Africa dolls are the more expensive dolls and they come with three outfits and four accessories and cost somewhere between 1,300 to 3,500 naira ($6.75 - $18.18). The Nigerian Princesses dolls have two outfits and two accessories and fall between 500 to 1,000 naira ($2.60 - $5.19). The dolls represent the three largest ethnic groups in Nigeria: Yoruba, Igbo, and Hausa. 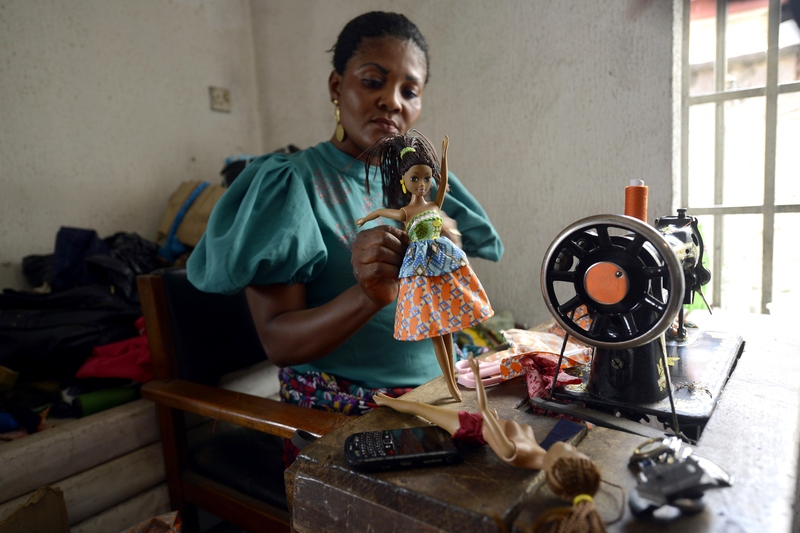 The dolls are now outselling Barbie in Nigeria, with Okoya estimating that he sells 6,000 to 9,000 dolls a month, about 10 to 15 percent of Nigeria’s toy market. Even though we live in Nigeria, there was a lot of Western influence, which might have been responsible for her wishing she was white. It made me aware that I needed to make her proud and happy being a black African girl, and not limit it to her alone as this was a common trend amongst the younger generation. The Queens of Africa became a platform to achieve this. Imagine having only black dolls in a country like Sweden. It wouldn’t make sense, yet there was no question about sending only white dolls to Nigeria. The idea that white people are more universal and relatable than people of color is the reason that people of color often are underrepresented in television, movies, books, and yes, even toys. It's the reason why Scarlet Johansson is being cast as the star in the live-action version of the Japanese anime, Ghost in the Shell . It's why people of color are constantly calling for more diversity and representation in all forms of media. We’ve felt the effects of not seeing representations of ourselves while being expected to find white characters more relatable than ourselves.